When reading about the history, a timeline is key to setting the scene. This portrays Charmandean`s history from the early 1500's, through to today. c.1841-1866 - Purchased by Mr & Mrs Thwaytes. Many improvements to the house were made, such as porch, bay windows, East and West wings, conservatory on the West end. 1917-1926 - Rev. T. Dyer Edwards, the last private occupant of Charman Dean. 1926 - Estate sold, broken up for building. First, Second, Third, Fourth, and Fifth Avenues layed out and building started. 1926 - St. Michael's boys preparatory school, run by Rev. Talbot Hindley, moved into the house and immediate grounds. 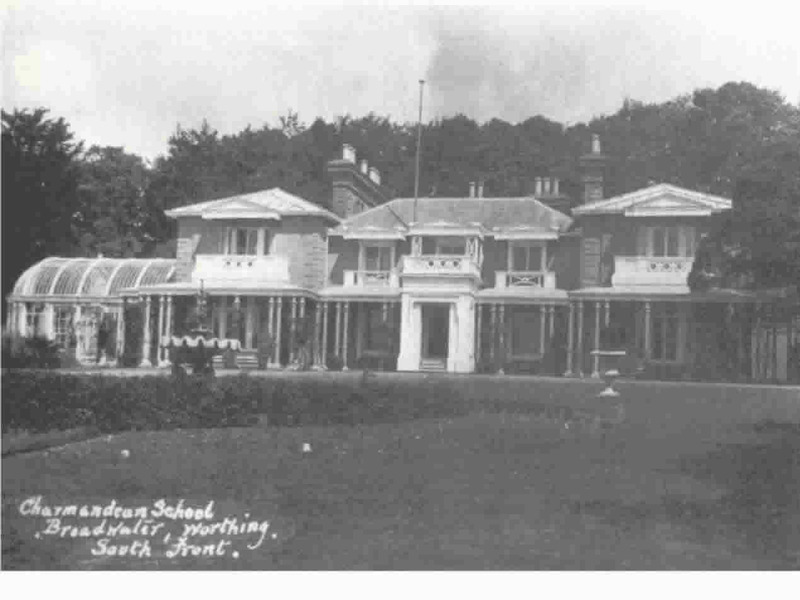 1931 - Mr Hindley appointed headmaster of Seaford College, school moves out of Charmandean. 1963 - Charmandean House demolished, Longlands housing development started. 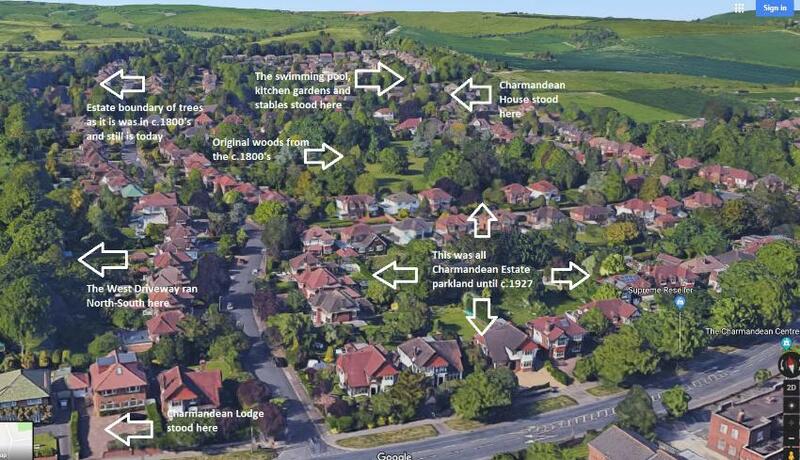 By taking a Google image of Charmandean Estate today, we can point out features which give the reader an idea of Charmandean before it was developed as it is today.